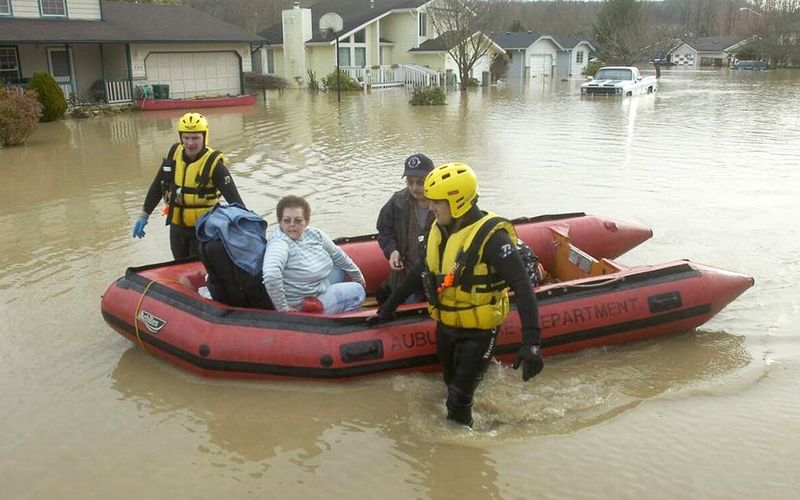 Reservoir releases from Mud Mountain Dam on the White River, a tributary in the Puyallup system, overtopped downstream levees and flooded the town of Pacific in January 2009. Flooding was attributed to sediment build-up that reduced channel conveyance. Photo credit: Lui Kit Wong/ The News Tribune. Although natural disasters can’t be prevented, damage can be. 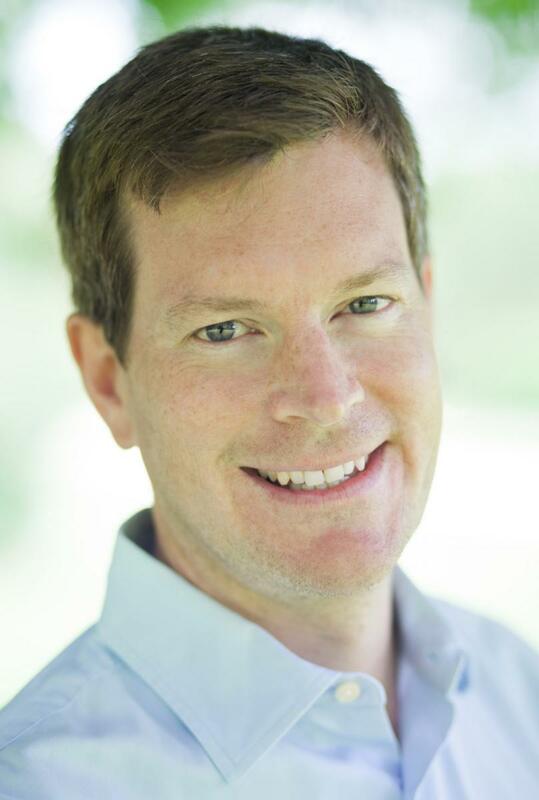 With the objective of improving flood and landslide prediction, a collaborative research team led by University of Washington Civil & Environmental Engineering (CEE) has received a four-year $1.7 million National Science Foundation (NSF) Prediction of and Resilience Against Extreme Events (PREEVENTS) grant. The grant is part of a larger $18.7 million investment by NSF’s PREEVENTS program, which is funding a total of 15 projects that aim to improve natural hazards predictability and resilience in order to better protect human lives. The program funds research on a variety of natural disasters, including hurricanes, earthquakes, wildfires and extreme precipitation. 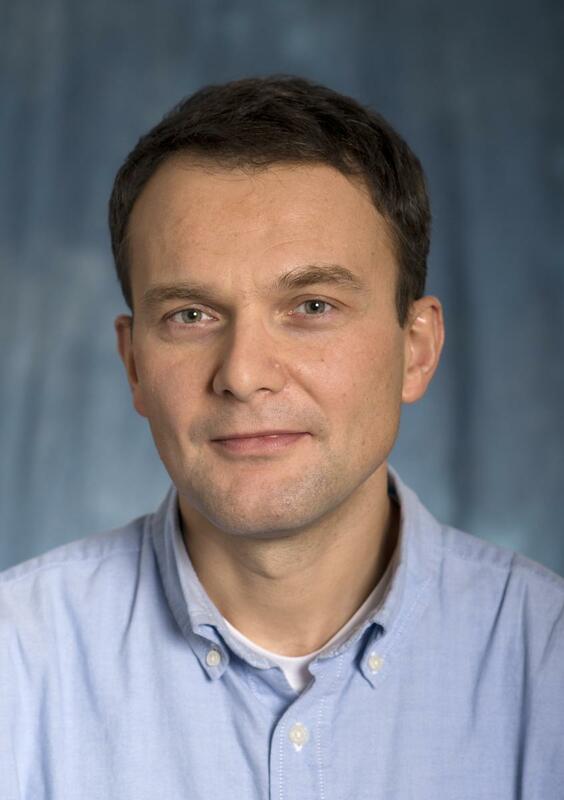 The research team will be led by associate professor Erkan Istanbulluoglu and professor and co-investigator Alexander Horner-Devine, who will work with researchers from UW CEE, Earth and Space Sciences, the Climate Impacts Group, United States Geological Survey and the National Park Service. The project was developed through the UW College of Engineering’s Mountains to Sea Initiative, which fosters water sustainability research at UW. Although flooding is typically attributed to heavy precipitation, there is growing evidence that floods are often caused by excess sediment from retreating glaciers, droughts, wildfires, land-use changes and extreme rainfall. The sediment, which comes in various forms such as pebbles, sand or mud, and even boulders, can build up over time and prevent a river channel from containing excess floodwater. A bridge crossing is filled with sand and boulders caused by debris flows from Mount Hood drainage near the Oregon/Washington border in 2006. 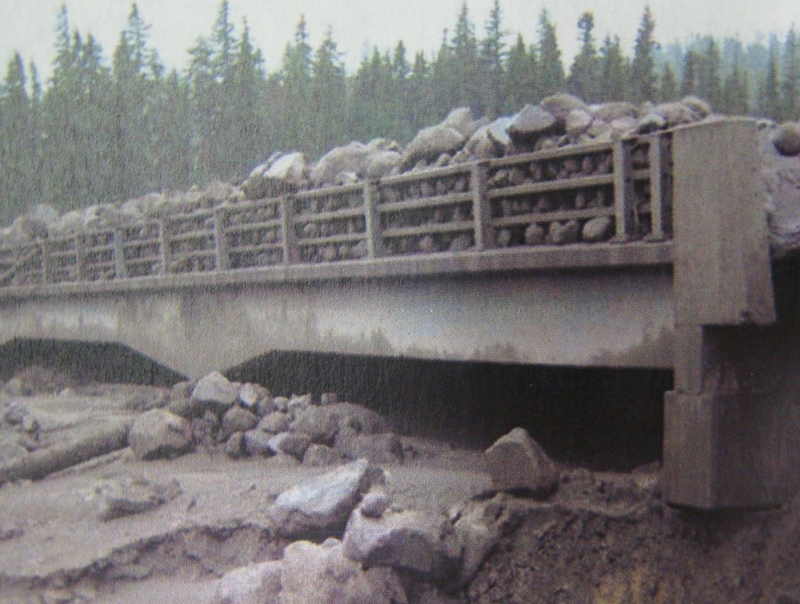 This resulted in widespread flooding that caused rocks to overtop the bridge. Photo credit: Doug Jones. Since current flood prediction tools do not factor in sediment dynamics, the researchers plan to develop new models that track sediment from landslides and other debris flows in streams. They will also model sedimentation processes in lowland rivers and deltas and simulate sediment impacts on river hydrodynamics and flooding. The researchers will create a mountain-to-coastline (M2C) flood modeling framework by integrating numerical models of glacio-hydrology, sediment dynamics and hydrodynamics. Extensive data will be used from existing field measurements, high-resolution satellite imagery, aerial photography and LiDAR. To evaluate the new models, the researchers will apply the M2C framework to the Skagit River along with the Puyallup and Nisqually rivers draining Mount Rainier. Mount Rainier contains the largest glacier volume in the contiguous U.S. The glaciers have been retreating during the past century, causing newly exposed sediment to be carried downstream and deposited in river channels. This leads to more frequent flooding by reducing the holding capacity of river channels. The project will also inform the development of online tools for interactive flood mapping and comparisons with existing flood forecasting tools developed by the National Weather Service. Models and data will be shared through HydroShare, an online data repository for water researchers. The M2C modeling framework will build on existing NSF-funded projects that developed Landlab and HydroShare, and will use model building technologies developed by NSF sponsored CSDMS. UW research partners include co-principal investigator and Earth and Space Sciences senior lecturer Brian Collins; co-principal investigator and Climate Impacts Group research scientist Guillaume Mauger; co-principal investigator and CEE research scientist Christina Bandaragoda; Applied Physics Laboratory research associate David Shean; CEE professor Jessica Lundquist; and CEE assistant professor Nirnimesh Kumar. United States Geological Survey researchers Kris Jaeger, Scott Anderson and Erin Whorton and National Park Service researchers Paul Kennard, Scott Beason and Darin Swinney are also involved.